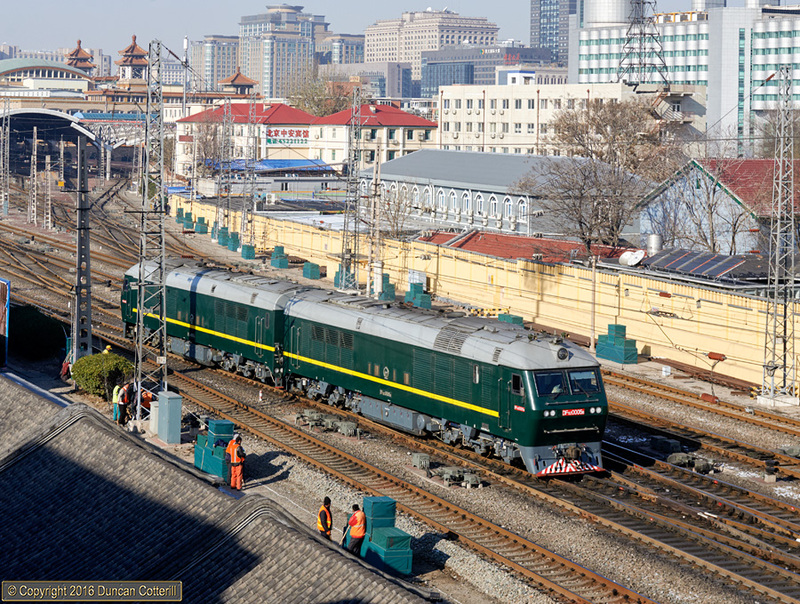 DF11Z.0005 left Beijing station and headed for the depot at 10:20 on the morning of 23 November 2016. These twin unit diesels are normally used on day trains Y509/510 and T5687/5688 between Beijing and Qinhuangdao, neither of which should have been around at the time, so it must have been doing something else on this occasion. Whatever it was, I wasn't going to complain as this was first time I'd managed to get a pic of one of these elusive machines in the sun.